Available in single size packs that are perfect for on the go and especially for traveling! 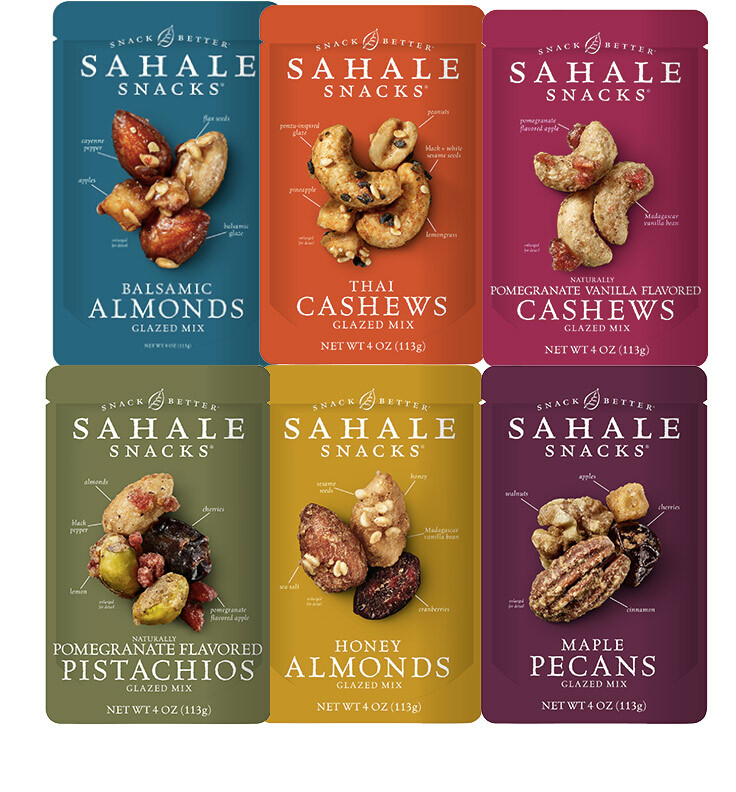 These Sahale Snacks glazed nuts are available in a variety of unique flavours like maple pecan, pomegranate pistachio, and balsamic almond! They’re so perfect for an easy filling on the go snack or toss them on top of a salad or your breakfast bowl for a nice crunchy flavorful topping. 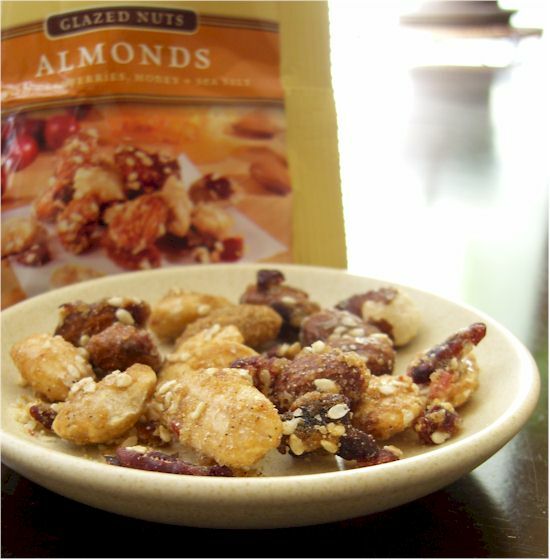 This package housed a neat variety of almonds, some peeled, some not, which offered some added interest to the mix. Taste-wise, it was a really delightful flavor blend; the bites of sweet and salty played nicely off of one another for a truly addictive experience. Of course, there were also flavorful bits of cranberry and the richness of sesame seeds throughout. I could easily see myself downing an entire bag of these … good think we only had single servings! *This one contains honey, and thus is not suitable for vegans. My husband and I devoured the entire 4-ounce package so quickly that I forgot to take notes. But it is safe to say that these were awesome, and definitely my husband’s favorite. I couldn’t keep him away from them! I would say these are the sweetest of the three glazed nut varieties, but not sickeningly so. They are a treat, but not over the top; the sugars are actually kept in check. We both loved the bits of pomegranate literally glued to the cashews, which were rich with sweet vanilla flavor. Okay, I remembered a few details. Overall, I was seriously impressed with the gourmet quality of these all natural snacks. Now, if only our airport will stock them in the gift shop! I have included links to the best price I found on each of the three snacks, but they also have a Variety Pack available if you would like to sample them all! 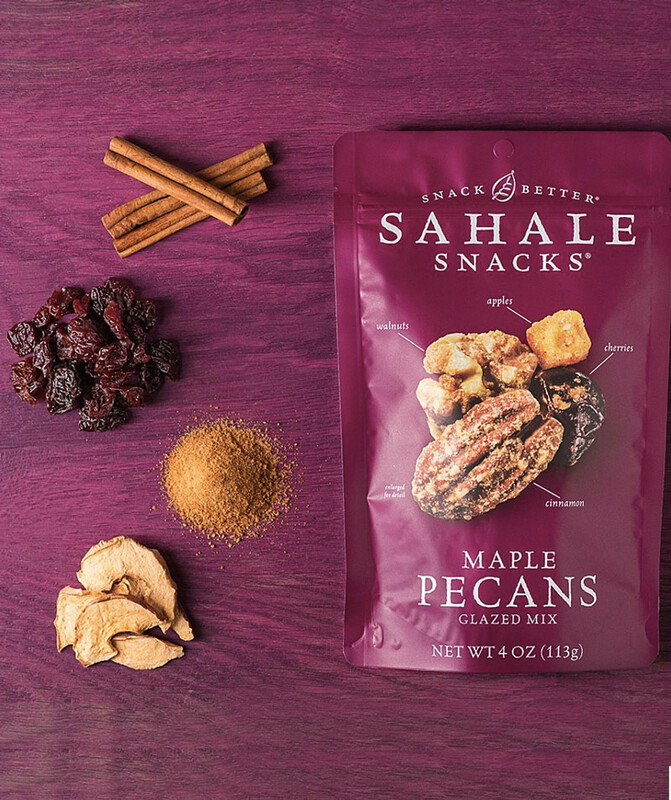 Certifications: Sahale Snacks Glazed Nuts are Certified Kosher DE, Certified Gluten Free, and Non-GMO Verified. 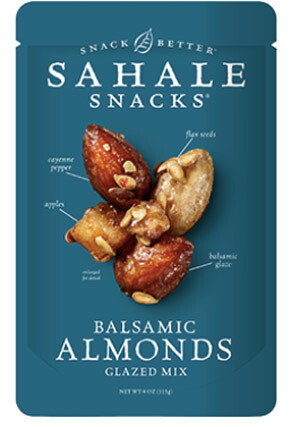 Dietary Notes: By ingredients, Sahale Snacks Glazed Nuts are dairy-free / non-dairy, egg-free, gluten-free, vegetarian. Many varieties are vegan/plant-based, soy-free, and peanut-free. 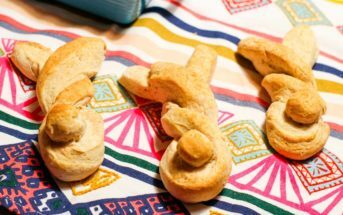 Nonetheless, always read the ingredient statement and check with the company on their manufacturing processes for all varieties if potential allergen cross-contamination is an issue for you. Processes and labeling are subject to change at any time for any company / product. 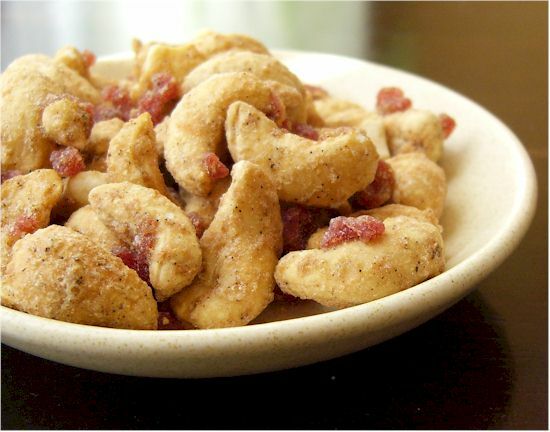 For More Product Information: Visit the Sahale Snacks website at sahalesnacks.com.